SpaceX has resumed flights, launching a new Falcon 9 rocket, Iridium-1 NEXT, from the Vandenberg Air Force Base on the California coast. It is the first mission by SpaceX since one of its vehicles exploded on the launch pad in September 2016. 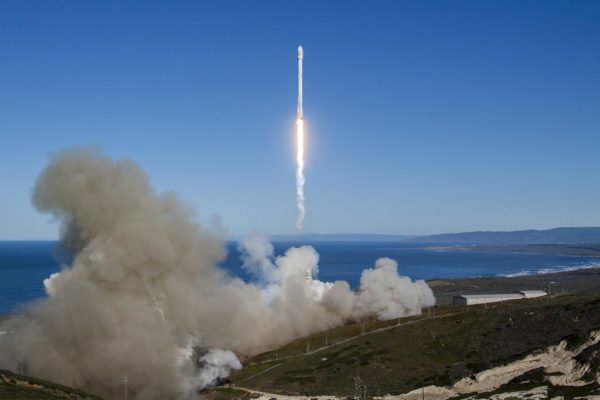 The return to operations sees SpaceX start to renew what was the original global handheld satellite phone network, run by Iridium. Lift-off took place at 09:54 local time on January 14. A few minutes later, the first stage of the rocket landed successfully on a platform in the Pacific Ocean. An hour and 15 minutes after launch, the mission was complete with the Iridium payload safely in orbit. SpaceX must now follow through with a steady but rapid series of further flights. It has a long queue of customers all waiting for a ride to orbit – including NASA, the nation’s military, and multiple outfits in the commercial sector. Iridium has six further missions it wants to complete with SpaceX inside the next 18 months. On this flight were 10 spacecraft for the Iridium satellite voice and data company. The batch represents the first phase in the roll-out of Iridium’s NEXT constellation. A total of 81 satellites have been ordered from the European manufacturer Thales Alenia Space to completely overhaul the original but now ageing network. Matt Desch, chief executive officer of Iridium, said: “Today Iridium launches a new era in the history of our company and a new era in space as we start to deliver the next-generation of satellite communications. Iridium-1 is famous for being the very first commercial company to provide global, hand-held satphone coverage, and supplying voice connections to anywhere on the planet is still very much part of its business. Its network has increasingly been used to feed data from remote systems, such as pipelines, ocean buoys, and mining equipment. Iridium-1 has become a big player in what is termed M2M, or “machine to machine” services. And SpaceX is banking on that market getting ever bigger as more and more systems are linked together.